Fans who want to see a return fight between Adonis Stevenson and Badou Jack, who gave us a great action battle that was ruled a draw last month, might not be happy with the order the WBC ruled yesterday: for Stevenson to next face unbeaten contender and current interim WBC light-heavyweight champ Oleksandr Gvozdyk. The fight will go to purse bids on July 2 if no deal can be made before then, RingTV.com reports. Though in an ideal world Stevenson-Jack II would happen next, politics have played, and will continue to play, an enormous part in this sport. So, what can we expect when the 40 year old long-reigning 175 pound champ gets it on with the 15-0(12) former Olympian (Gvozdyk winning a bronze medal in 2012)? Stevenson may not be around for too much longer – although he did show quite a lot is left in his tank in the Jack war – and it could be argued how this fight is, by and large, an unnecessary one (certainly there are bigger and more exciting options out there for Stevenson; including the Jack rematch and unification fights with the likes of Kovalev, Beterbiev and/or Bivol). But if “Superman” wants to keep his belt, his hard-earned belt, then Gvozdyk it must be and it will be. The 31 year old Ukrainian went pro in 2014 and he has beaten some good fighters in Isaac Chilemba and, last time out, in March, to claim the interim strap, Mehdi Amar, yet Stevenson is a wholly different proposition to anyone “The Nail,” as Gvozdyk is known, has ever faced before. It could be an interesting fight, maybe another action fight involving the southpaw champion, but again, fans will not exactly be thrilled over this one. It seems we will never get to see the guaranteed explosion that is Adonis Stevenson Vs. Sergey Kovalev. What a shame. Stevenson, 29-1-1(24) will be making his 10th title defence when he gets it on with Gvozdyk. 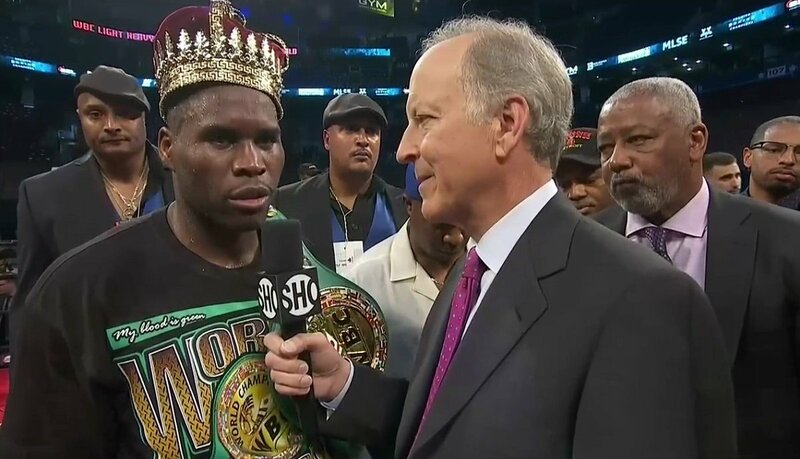 Most fans will probably expect Stevenson to keep his crown when this fight takes place.